An officer in the Midwest responds to a call of an in-progress home intrusion. Upon arriving at the residence, he learns that the suspect has left the home and might be down the street. He walks down the dark street where he ultimately encounters a subject matching the suspect's description. The unarmed subject is very intoxicated and immediately becomes agitated and aggressive when the officer attempts to detain him. The officer has no electronic control weapon (ECW) and is too close to the menacing subject to use his OC spray. The subject ignores a command to get on the ground and instead suddenly charges the officer. In response, the officer draws his pistol and shoots the subject who falls to the pavement mortally wounded. Where was his baton? In his patrol car. Why don't officers carry their department issued batons? As a long-time use-of-force instructor and a forensic investigator of officer-involved shootings and in-custody deaths, I am seeing an increasing number of confrontations between officers and subjects where the subjects are unarmed; and officers are either precluded from using their ECWs, or don't have them and don't use or don't have their batons for self-defense. My case research leads me to believe that there are many reasons for officers not using an impact weapon against a physically threatening or assaultive subject: a lack of confidence and competency in using their batons; over-reliance on ECWs; and the "Ferguson Effect," where officers are phobic about engaging resistant subjects to effect an arrest and using their batons to overcome threatening resistance or assaultive behavior. The violent images of LAPD officers repeatedly striking Rodney King with batons and the aftermath of the 1993 South Central Los Angeles riots remain engrained in the memories of America's law enforcement officers. However, allow me to present a more logical and rational argument to officers in support of using one of the most versatile self-defense and control weapons in a street cop's arsenal—The Baton. No less-lethal or control weapon is faster to access, deploy, and effectively engage a threatening and/or assaultive subject at extremely close range than the baton. Whether the impact weapon of choice is a straight stick, or an expandable baton; in the skilled hands of a competent, trained officer, the baton should be every officer's first "go-to" defensive weapon against an unarmed subject at distances closer than 10 feet. There are two essential profiles for the classic unarmed resistant subject who overtly threatens to harm or assault an officer. Subjects who are mentally unbalanced, psychotic, and/or under the influence of powerful stimulants are pain resistant. Other subjects who are intoxicated, non-compliant, and threatening to harm officers do feel pain, so the infliction of pain as a "behavior modifier" is effective. Where ECWs such as TASERs can be effective against pain-resistant and psychotic subjects, historically they are only 60% effective. 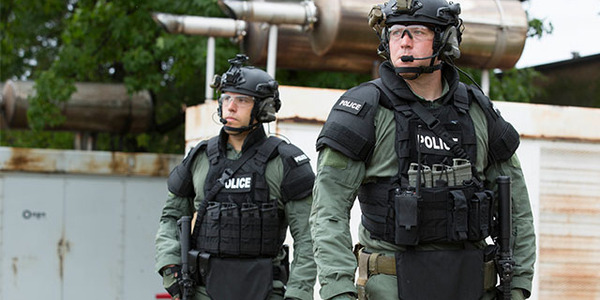 Heavy or loose-fitting clothing, the distance between the officer and the subject, and operator error all negatively impact the effectiveness of ECWs. So when in close contact with a threatening subject, the ECW is far from your defensive weapon of choice, even if drive-stuns are an option. Chemical sprays such as OC, Mace, and OC/CS/CN combinations can be nearly useless at close ranges unless the officer is using a conical spray pattern. And aerosol sprays are negatively affected by such common environmental conditions as wind, rain, sleet, and snow. In order to be effective, inflammatory agents such as OC must be directed at the head/face to affect vision and respiration. Pain tolerant subjects are unaffected by chemical agents. In fact, they tend to get more angry and agitated when sprayed. Officers deploying chemical sprays also need to be concerned about cross- and self-contamination, as well as subject aftercare. Conversely, the baton is a reliable intermediate-level, less-lethal, self-defense and control weapon that when properly yielded by a trained officer can be immediately deployed and used as a striking, jabbing, and leveraging device. A solid, well-placed baton strike or strikes will not only cause significant pain, but create debilitating, threat-stopping trauma to large muscle groups, as well as nerve distractions and fractures to the attacking subject's personal body weapons such as hands, arms, legs and feet. 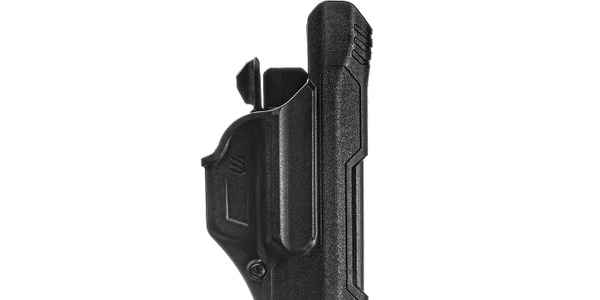 A perfect example of the aforementioned can been seen in a body cam video available on the front page of www.peacekeeperproducts.com titled, "What's Your Plan B." When subjects who have not yet been searched are on the ground in the prone position, with their hands/arms hidden under their torsos, the baton becomes an excellent mechanical leverage device to free arms and hands for cuffing. Under such circumstances, repeated ECW drive-stuns and chemical agents are totally ineffective. 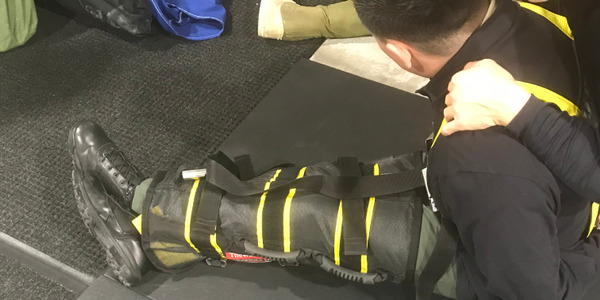 Straight stick and expandable batons can also be placed across the back of a prone subject's knees with downward pressure to secure legs and prevent the subject from kicking controlling officers. The baton is a street-ready, multi-purpose device that can be quickly accessed and deployed as a weapon or control tool. It can also be used as an instrument for opening doors during searches; or breaching the glass windows of vehicles and premises when needed. These are benefits no other chemical or less-lethal electronic weapon provides the field officer. While rudimentary in design and perceived as perhaps "Old School" by the newer generation of officers, the experienced officer of any generation should understand and appreciate the utility of the baton and its role in officer safety. The baton may be the last line of defense before a possible OIS, especially when other less-lethal options fail to subdue or control the subject. 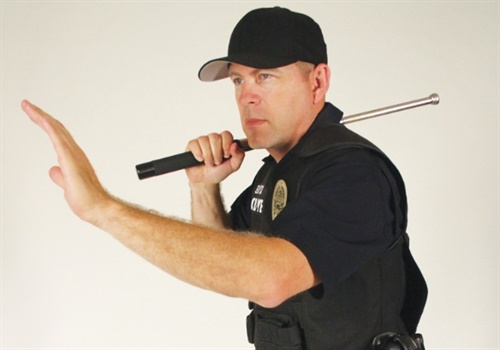 There are several baton options available in the law enforcement market. 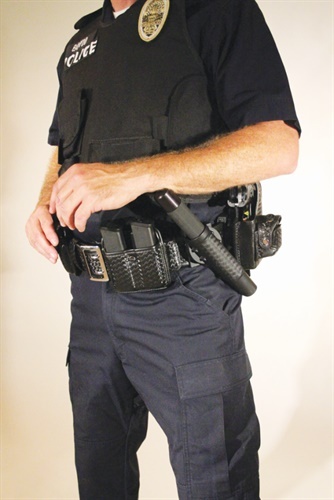 Straight sticks continue to be a good option for officers, while expandable baton models are becoming more popular and technologically improving. My personal favorite, which I carried in the field, is the Rapid Containment Baton (RCB), an expandable baton manufactured by Peacekeeper International of Pomona, CA. I find that the benefits of the RCB are its weight distribution, handling characteristics, ergonomics, and most importantly, the delivery of overwhelming, powerful kinetic energy to targeted areas. What sets the RCB apart from its competitors is that it is perimeter weighted. RCB batons redistribute the weight toward the distal end where contact with the target is made, instead of at its proximal or handle end. This means that any officer can achieve more impact with less swing, making it a great weapon for smaller and slightly built officers. Having carried and tested both straight stick and expandable batons, I have found nothing to compare to the kinetic force projection of the RCB baton. As an aside, the psychological effect of simply accessing and expanding the RCB in the presence of a verbally threatening subject is a sight to behold. It expands with a sound similar to the racking of a 12-gauge pump shotgun. Design—Select a baton that ergonomically fits your hand and has a good handle that will accommodate your master grip under a variety of adverse conditions such as when wet with water, sweat, and/or blood. Straight Stick—The easiest of batons to select. Get a baton made from heavy wood. Accessing and Holstering—Make sure that your baton can be easily accessed from its holster, expanded, and then compressed and re-holstered easily with your gun or support hand. Repeatedly test accessing, expanding, compressing, and re-holstering with one hand. 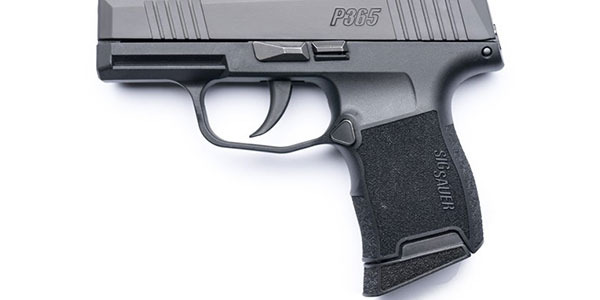 Holsters—Make sure that the baton manufacturer also provides a solid, heavy-duty holster that firmly holds your baton in place when compressed and when expanded. Look for holsters that have a canting mechanism to allow for your baton to be canted at an angle in case you want that option. Utility—Check to see if the expandable baton you are considering has accessories such as caps that allow for glass breaking, lighting, etc. I like my batons clean, but mine has a glass breaking cap that I have used successfully, where other officers failed to breach car windows by simply striking them. Weight—Remember that force = mass x acceleration squared. This means that baton weight and swing = kinetic energy = more power to targeted areas. Would you rather hit someone once or twice; or several times to get the same result? Just ask the officers who struck Rodney King 58 times with their batons in retrospect if they wish they had been able to hit him once or twice to gain compliance. Numerous unnecessary baton strikes, even when justified, rarely look good on social media, body cameras, or at the prosecutor's office. Warranty—Your expandable baton is going to be with you for a long time. It's going to get banged up and tossed around a lot. Cops are rough on gear. Look for a quality product that has a lifetime replacement guarantee. If you want to be safer and more effective in overcoming threatening or violent unarmed resistance, you had better invest in training with your baton. Most officers who wield their batons pull up short when they feel contact. Big mistake. You need to both commit and follow through with your baton strikes to be effective. Think of your baton as a Samurai sword and swing the baton as if you are slicing through your target with a sword. Be honest, practical, and real about using baton force. It's not pretty. In fact, it is violent. But if you do it right, it's highly effective and will abruptly end what could be a prolonged fight leading to potentially deadly consequences for you or the subject. What we are seeking is controlled violence because we are not violent people like our adversaries are. We are professional, peaceful warriors. In summary, I encourage all street cops to get smarter about your defensive force options. Seriously revisit your thinking about carrying your baton. 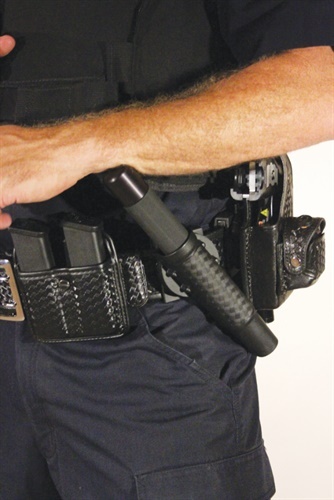 You have no better close-in, less-lethal defensive and controlling weapon on your duty belt than your baton. 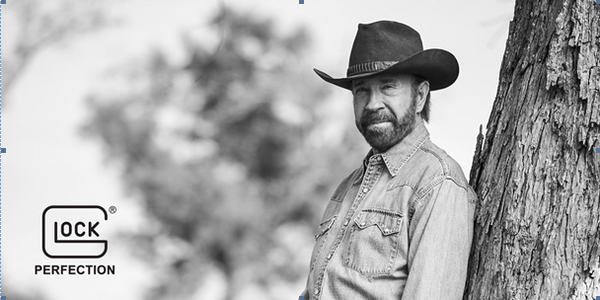 Dr. Ron Martinelli is a nationally recognized law enforcement trainer and forensic expert specializing in uses of force, officer-involved shootings, and in-custody deaths. He is a frequent contributor to POLICE Magazine. His forensic site is [email protected].